If you have carpets with permanent and stubborn stains on them and you are thinking about cleaning them on your own then don’t. This might be a bad idea and you will probably end up damaging the carpet instead of cleaning it. Let the professional cleaners do their work and do it properly. 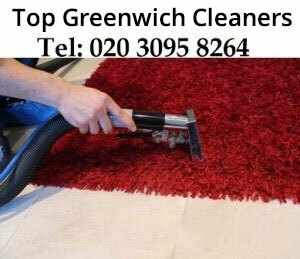 Top Greenwich Cleaners provide a rug cleaning service along with other cleaning services all over London at affordable cleaning prices. No matter what kind of carpet you want to have cleaned, our professional and highly skilled carpet cleaners will make it sparkling clean using the latest equipment. We guarantee customer satisfaction because we are confident that our workers will deliver high quality and that too in a timely manner. Top Greenwich Cleaners is an accredited cleaning company which means that you can trust us as we use latest equipment along with our skilled operatives who deliver best possible results within hours. Our price varies and depends on the size and condition of the carpet but we make sure that the client can afford us easily. Also we use biodegradable carpet cleaning products that are not harmful for the carpets. Moreover, we offer different kinds of packages for our clients so that they can choose the one that suits their preferences. If you are not satisfied with the carpet cleaning service, please call us within 24 hours of the service and we will send another worker to do it as you say. However, this is a highly unlikely scenario and our skilled workers will definitely satisfy you with the quality of work.